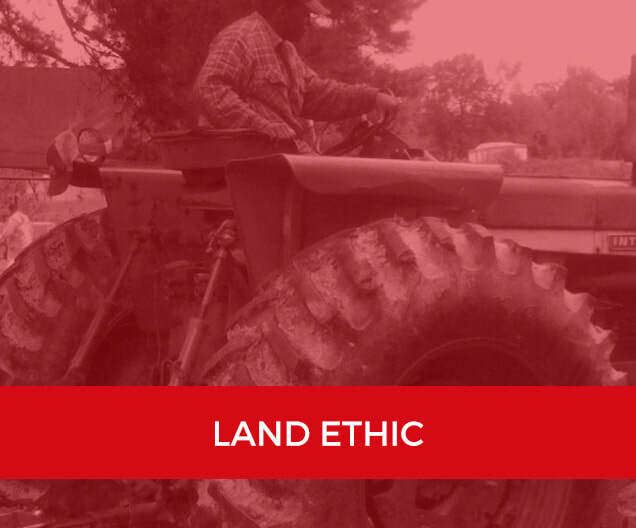 ​The African American Land Ethic is where the Black Family Land Trust begins; honoring the legacy of those stewards of the land that came before us and having faith in those stewards of the land that will come after us. We believe that the land is an asset. Land ownership represents wealth, power, community, sustainability and economic opportunities for generations yet born. The African American’s history and relationship with the land must be reexamined and self-defined in the context of the African American experience in America. We must utilize every tool available to reduce the rate of African America and other historically underserved populations land loss. Not one more acre, or blade of grass, or grain of sand can be lost…not one more! The Wealth Retention and Asset Protection (WRAP) program is a comprehensive intergenerational program designed specifically to reduce the rate of African America and other historically underserved populations land loss by educating landowners about: heir property and estate planning, intergenerational financial management, conservation easements, and 21st century options for land use. The program focuses on filling service gaps and creating a niche for the BFLT and our partnering organizations while prioritizing and maintaining the integrity of our respective missions. Today we are in a critical period of land ownership and the transfer of wealth in this country. The time has come to remove the traditional work silos and begin offering comprehensive services and programs that protect the land for the seventh generation. Given the organic nature of our work, Special Initiatives provide us an opportunity to form new partnerships, expand our existing relationships and enhance our asset protection work. The Black Family Land Trust special initiatives enhance our outreach to groups and entities to further the implementation of the African American Land Ethic and the Wealth Retention and Asset Protection (WRAP) programs.